Sunday September 15. 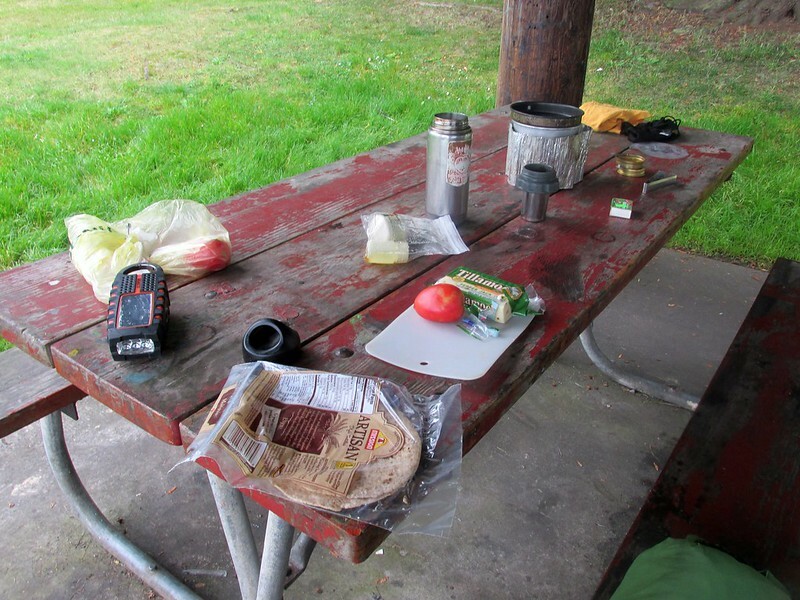 I made a quick breakfast while listening to the CBC again (this time from the Vancouver station, not the Victoria one), broke down camp and made it in time to catch the ferry just around 10 am. Another foggy morn on the water, but this one more so than it was on Friday, so much so that the crew was sounding the horn every couple minutes. Thankfully we didn't hit anything and pulled into Anacortes safe and sound around 11 am. Now what? 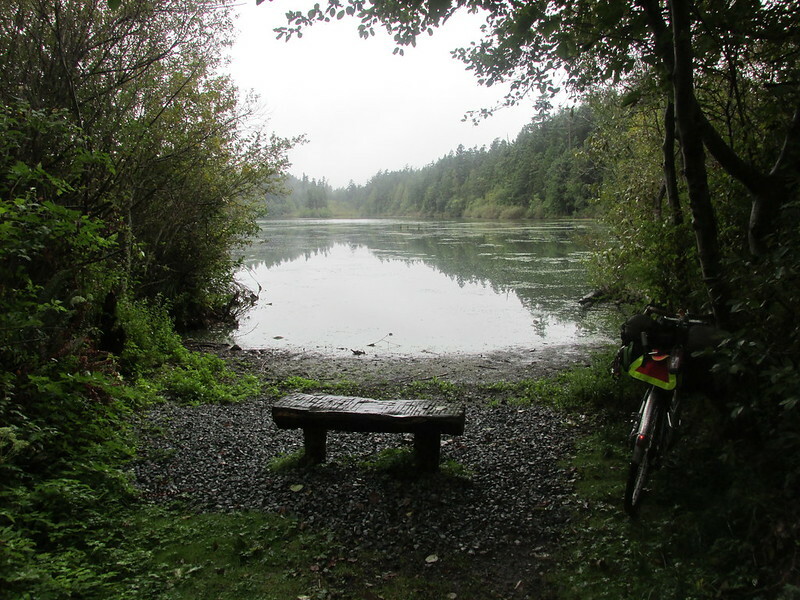 I decide to see if I could get in a little riding around Fidalgo Island before the rains came. 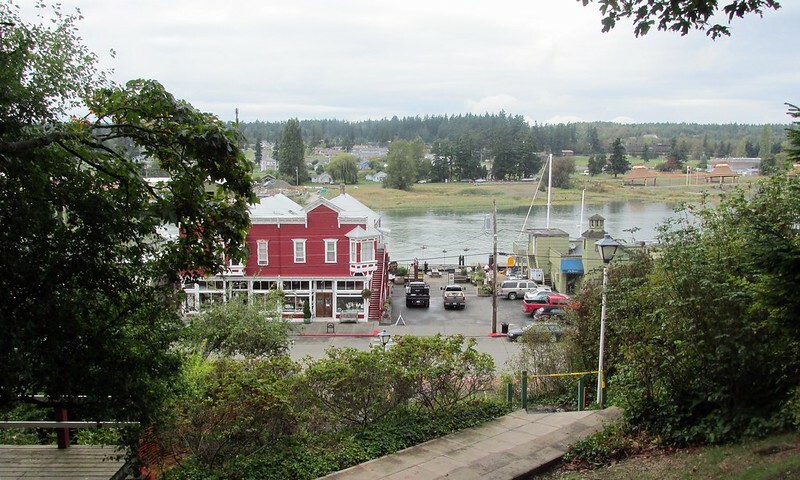 First, I headed west from the ferry dock to Washington Park, just about a mile or so. 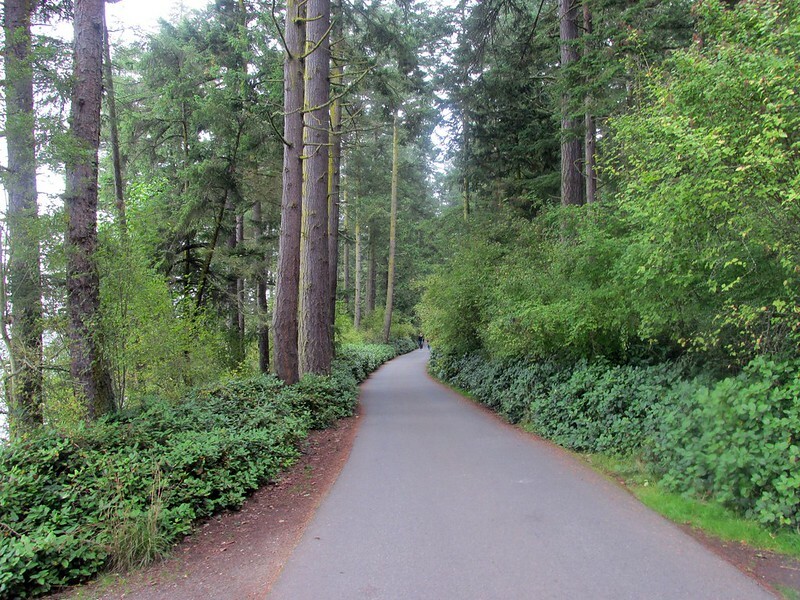 Washington Park is on a little peninsula, part of it the ballfields and picnic areas of a typical city park, the rest of it a forested preserve with all the Doug Firs, Madronas, and Oregon White Oaks of a forest in this neck of the woods. There was a couple mile drive that looped and winded through the park, so of course I took it, marveling at the view. 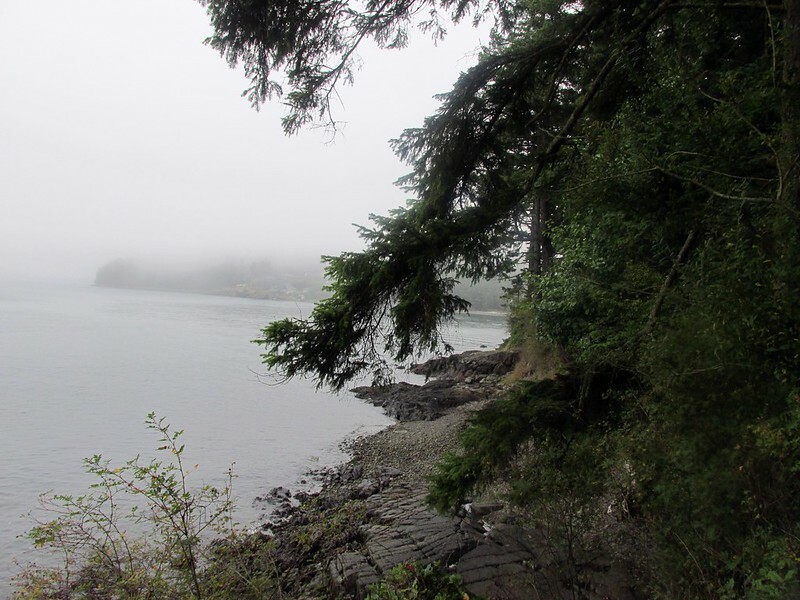 I awoke on Monday September 16 to more mist and fog. Oh well. 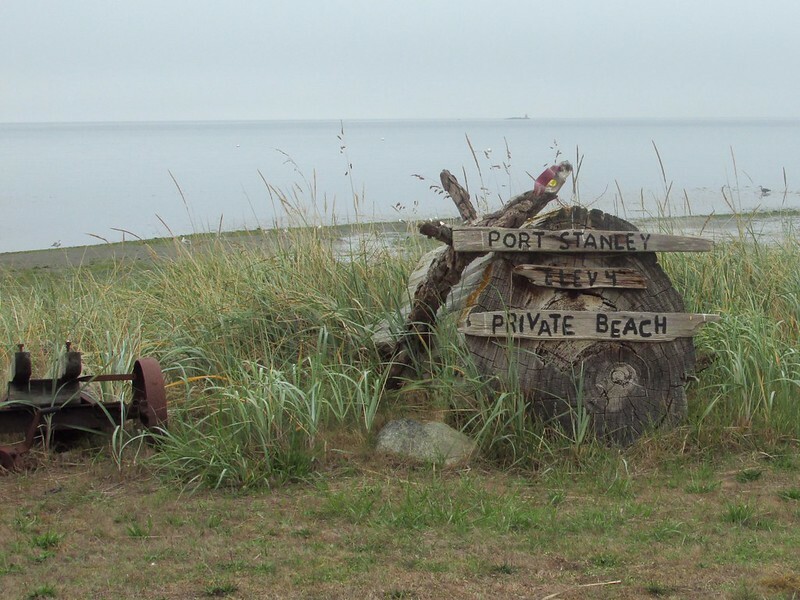 The distance between Anacortes and Mount Vernon was barely 20 miles and very flat, so it would be a quick ride. I didn't really feel like hanging out in either town for an extended period of time. (While they are both nice, they aren't overwhelmingly interesting for "hanging out" purposes.) So I decided to go the long way. 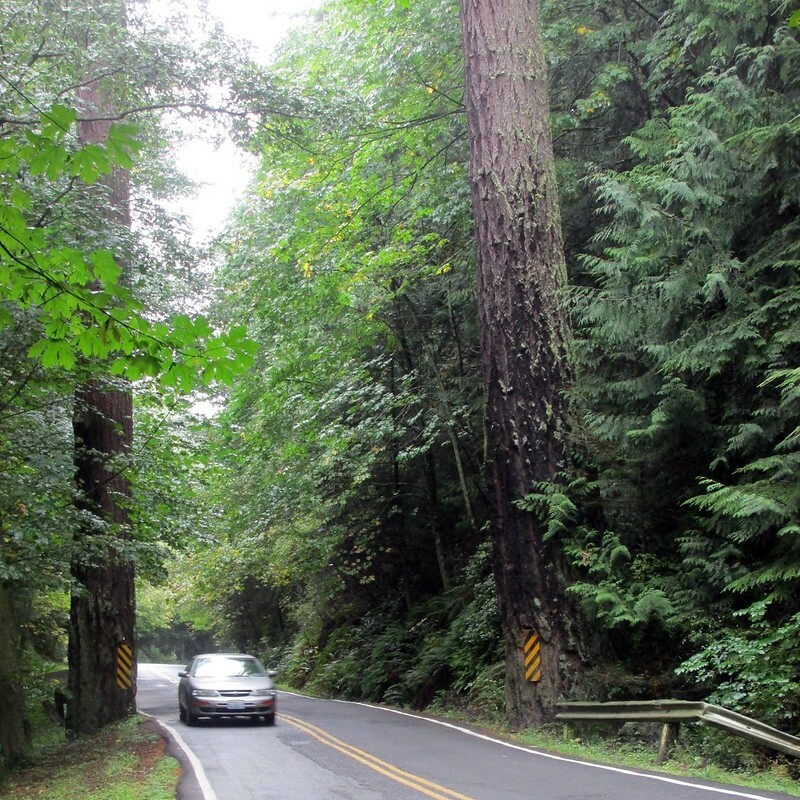 First I headed south through Whidbey Island to get all the way down to Deception Pass on the south tip. I went up and down a few hills while passing through some of the very lovely forest lands owned by the city of Anacortes. 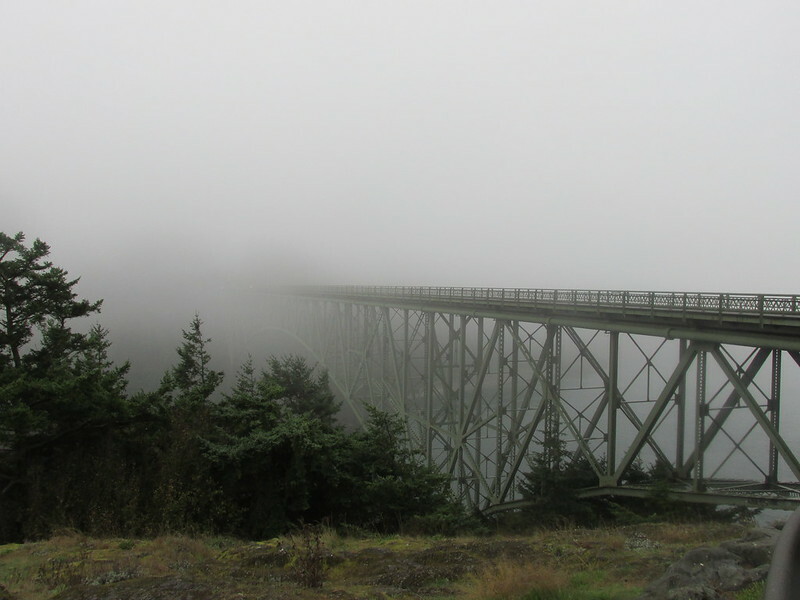 I've been to Deception Pass three times before, but the pass and bridge is always nice for a quick stop. The fog was pretty intense here. Then northbound on busy SR 20. The first mile or so had a very minimal shoulder, but it improved after that. I got off the main highway just south of March's Point and took Reservation Road southeast towars La Conner. 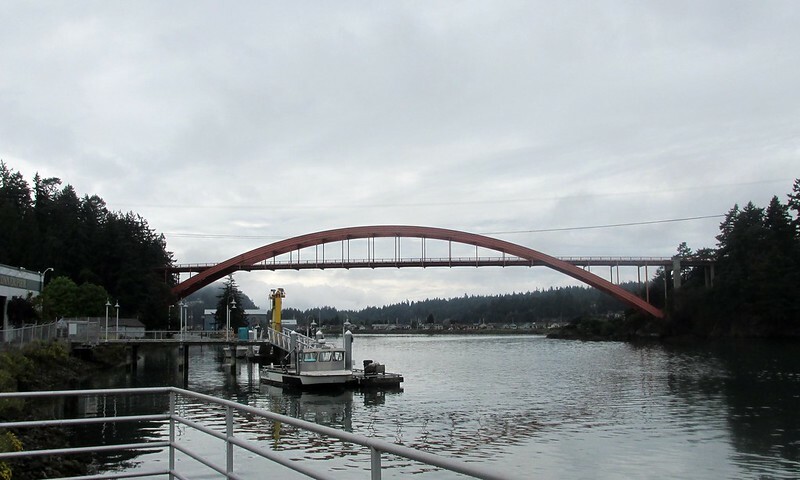 Here's the other crossing over the Swinomish Channel to get back to the mainland, and the only bridge off the island I hadn't crossed yet, Rainbow Bridge. La Conner was an interesting place, for sure. 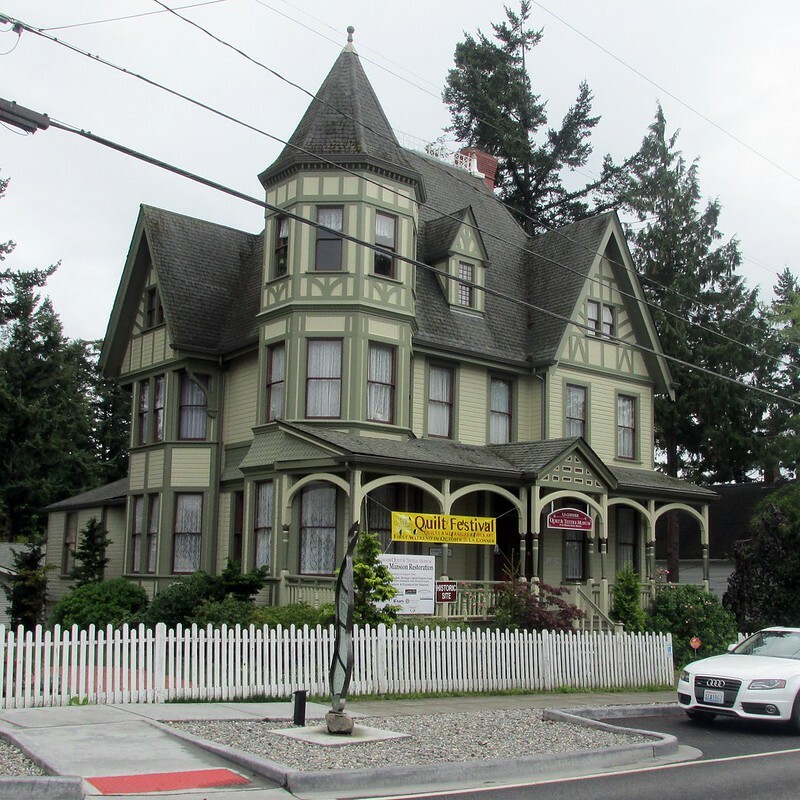 It seems like this area of the world has numerous "off-the-map" towns that were founded during Victorian times and languished in obscurity for decades until folks rediscovered the place. La Conner is one of those places. 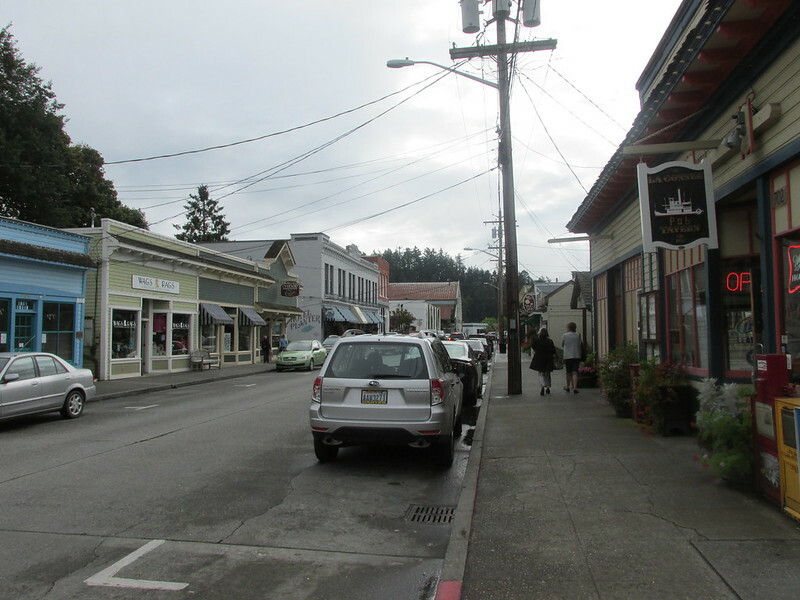 It felt like a smaller version of Port Townsend, with its classic downtown and many Victorian-era buildings all around. Of course, towns like this tend to be a tad on the touristy side, so after much searching I ended up eating at a pub that had the best food prices, and a great view of the waterfront. After lunch, I biked up to the top of the short-but-steep hill that overlooks the downtown for a nice little view. 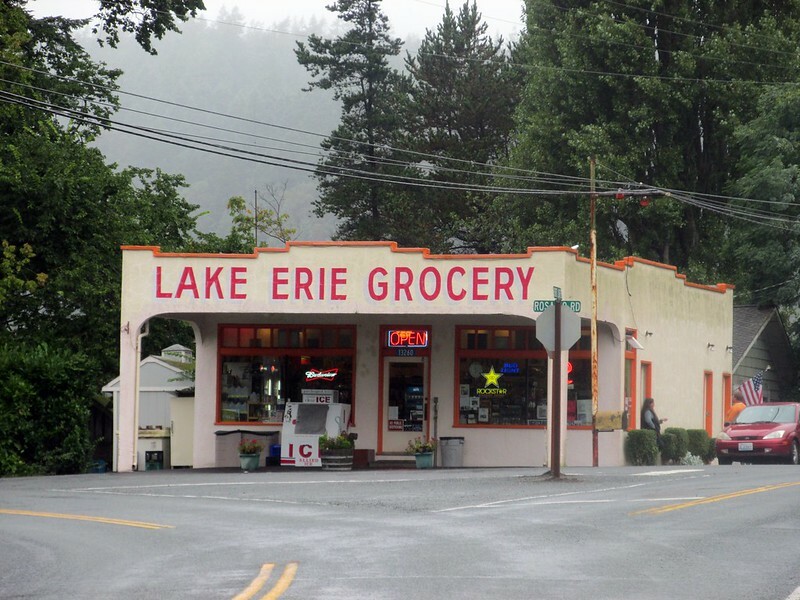 Initially I had hoped to head north from La Conner to Edison, another one of the cute out-of-the-way towns in the area. But I had already hit 30 miles and wanted a more direct route back. 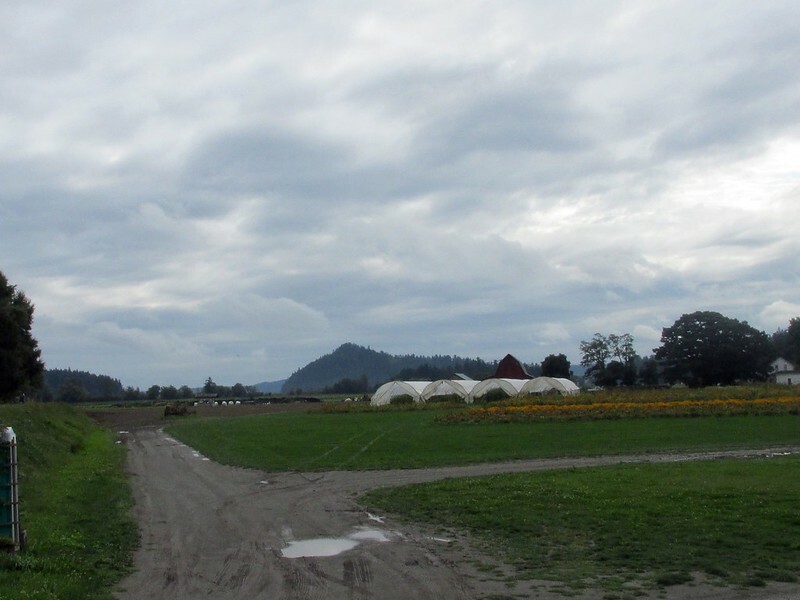 So I headed east across the Skagit flatlands, then up along the Skagit River itself into Mount Vernon. I found Mount Vernon Brewery and celebrated with a couple post-tour celebratory beers. From there, another few miles to my Warmshowers host on the north side of town, where I enjoy a nice night of conversation about touring. And that was pretty much it. On Tuesday morn, I got up early and caught the Amtrak Cascades train out of Mount Vernon at 9:15 am. 6 hours later I was back in Portland. While the tour didn't go exactly as planned, I'm really happy to finally have biked around a couple of the San Juan Islands. Now I just need to get back up there and finish what I started!